House of Cards is one of the most popular shows on Netflix today, because of its indulging storyline and breath taking performances by Kevin Spacey. Kevin Spacey plays Frank Underwood who wants to take revenge on the people who betrayed him. Kevin Spacey has been critically acclaimed because of his portrayal of Frank Underwood. This is one of his greatest performance yet! 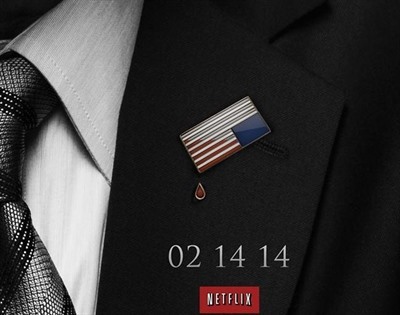 House of cards started airing in the year 2013 and its third season will start airing on 27th february. Fans cannot wait any longer for this season to start because as Frank has put it “its going to be a great year”. We are not going to get in to the spoilers because this article isn’t about that. Unfortunately House of Cards is only available to Netflix Subscribers and Xfinity (Comcast) subscribers. But the newest season will only be available on Netflix. This is a huge let down as House of Cards has fans all over the world and it has a huge fan following in Australia. Recent news states that the Australian Netflix will be deprived of this season in the beginning which is very disappointing. SmartDNSProxy is reaching out not only to the Australian fans but fans all over the world who can’t access Netflix due to Geo Restrictions. If you want to watch House of Cards on Netflix all you need to do is get a SmartDNSProxy account and signup to our services. We will let you access Netflix even if you are outside USA, this will enable you to catch up with all of the latest exploits of Frank Underwood on House of Cards. Setting up SmartDNSProxy is easy all you have to do is go through the steps defined on our Setup Page. You can choose any device you want and run it without any hassle. So get on board with SmartDNSProxy and enjoy House of Cards without any restrictions on Netflix even if you are outside USA!